Turkish President Recep Tayyip Erdogan has called for "more decisive action" in response to the Kurdish Regional Government (KRG)'s attempt to split from Iraq, as he joined his Iranian counterpart Hassan Rouhani in renewing their opposition to the redrawing of the Iraqi borders. 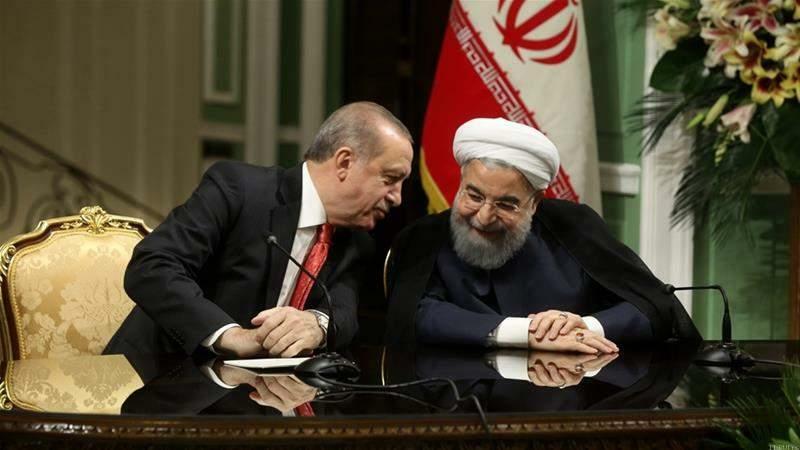 "From this moment forward, more decisive steps will be taken," Erdogan said on Wednesday during a joint media appearance with Rouhani in Tehran. Rouhani also declared his opposition to an independent Kurdish state, even as he said that his country "does not mean any harm" to the Kurdish population. But for the first time since the 1979 Islamic Revolution, Turkey's military chief of staff General Hulusi Akar visited Iran on Monday, signalling closer cooperation with an old regional rival. On the economic front, Erdogan said he expects closer ties with Iran, as he announced an agreement to increase trade between the two countries from $10bn to $30bn.